The representatives of youth cultures usually emphasize their affinity and difference from the main stream with their outward appearance. In the same way the representatives of power and control distinguish themselves from the public with uniforms. 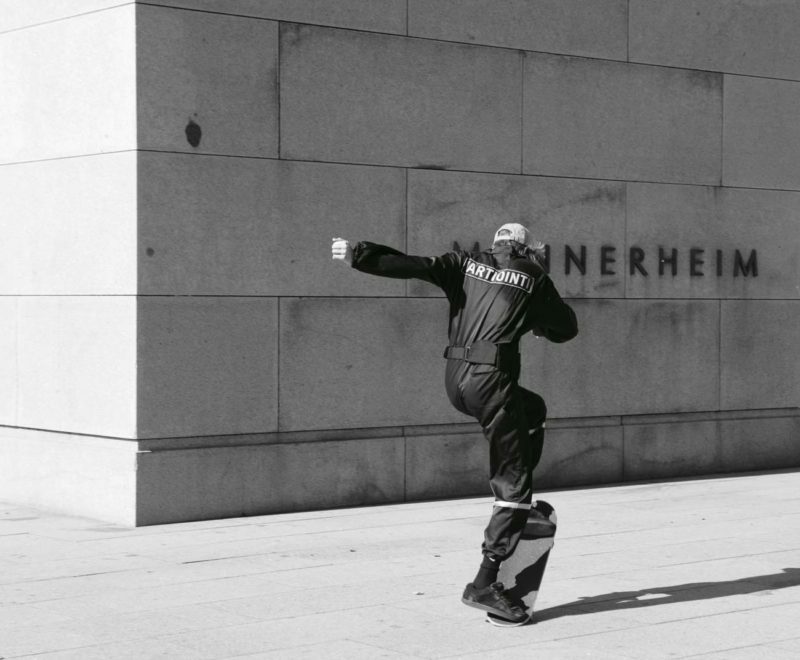 In the work a group of skateboarders is dressed in security guard uniforms instead of their normal outfits. They go around the city centre, skating and hanging around in the usual places where they can be seen every day. 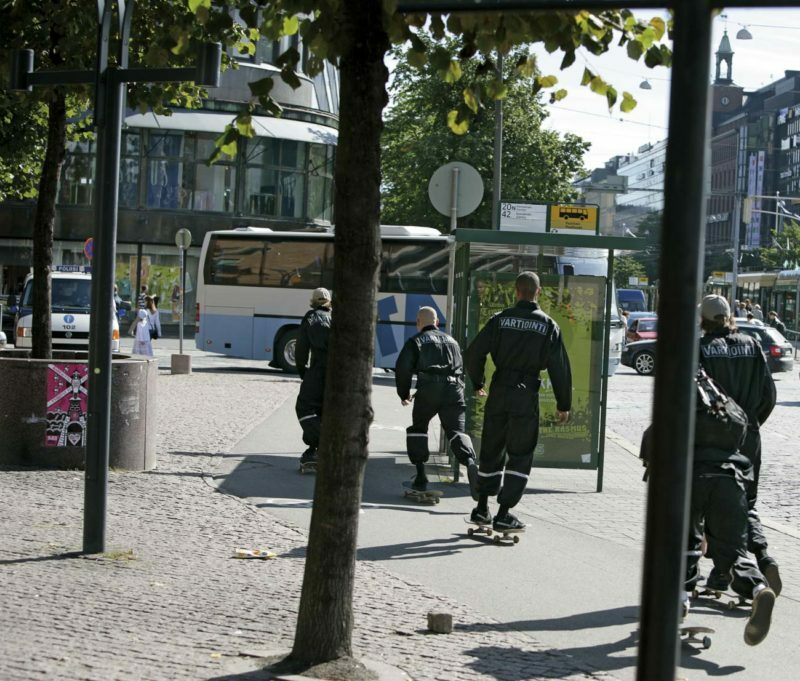 The action is exactly as usual, only the appearance of the skateboarders is different. 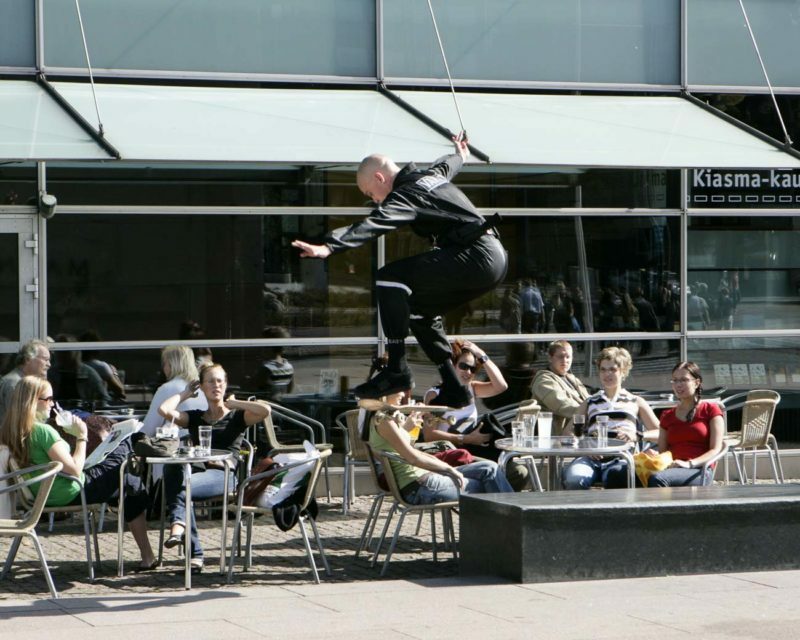 The performance with local skateboarders took place in the centre of Helsinki. A video made by Timi Valo, documenting the performance in a skateboard movie style, was shown in the exhibition.